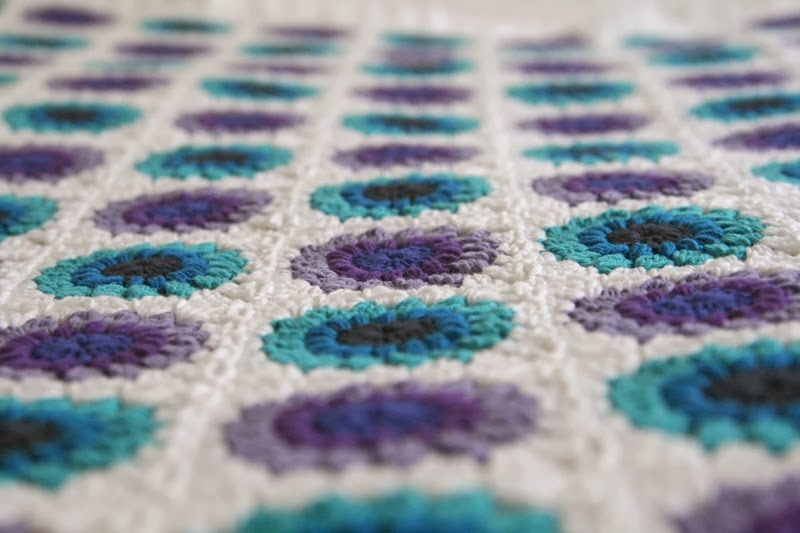 Fifty Shades of 4 Ply: Retro Flowers Banket Ta Dah!!!!! Well it seems a long long time since I received a parcel full of yarny goodness from the lovely people at Scheepjes. I instantly fell in love with the beautiful Softfun yarn. Well to be honest, it wasn't exactly difficult. This yarn is utterly gorgeous. 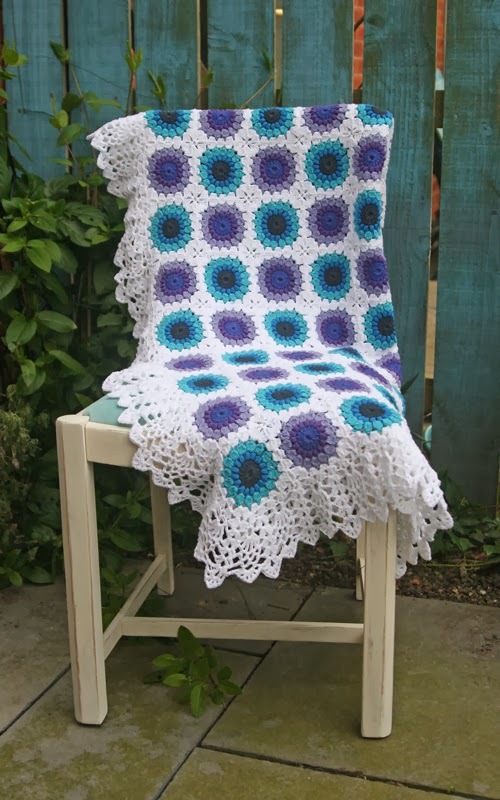 It's soft and snuggly, comes in the most delicious array of colours and is a total joy to hook with. If you remember, last time I blogged (I know...it's been a couple of weeks!) I was joining the squares in preparation for adding the border. Ah I love the joining process. It's the point when all those squares come together and a blanket is born! I'll talk more about the joining process next week as I'll post a tutorial. I deliberated long and hard about the border. Do I want it simple? Showy? Lacy? How deep? 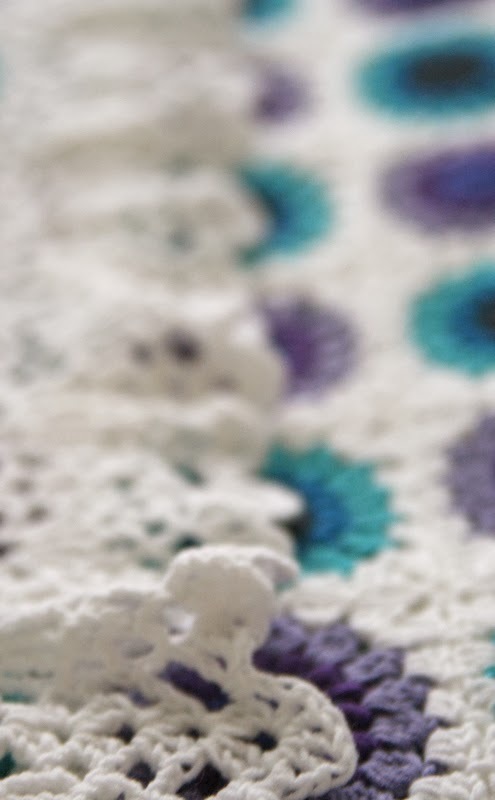 Ah...I spent hours and hours trawling Pinterest searching for the perfect border! Obviously a glass of wine really helps in that process ;-) As you can see....I finally opted for a pretty lacy deep border. 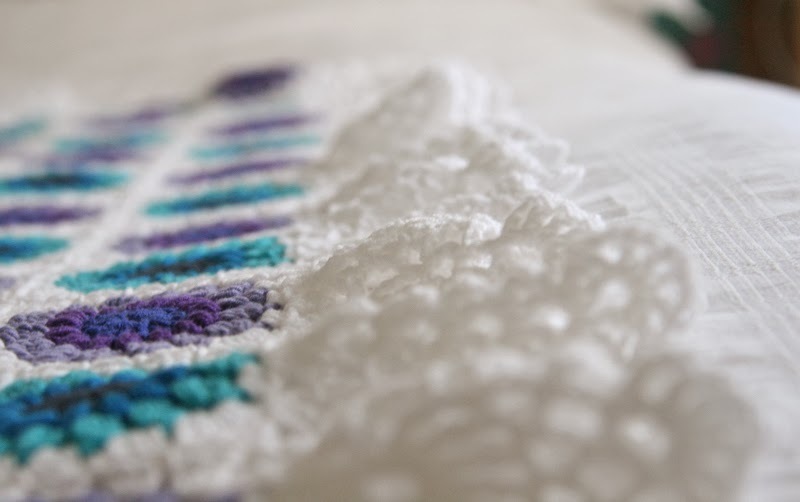 Actually it's a shawl border....but more about that next week! I wanted a border that was slightly ruffled to offset and soften the very bold square design. Are you ready to see the finished blanket????? 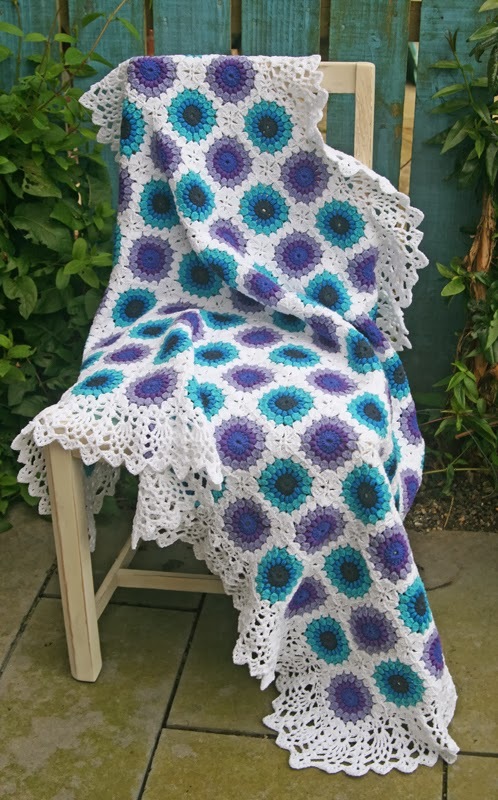 I think this has got to be the nicest blanket I have ever made! 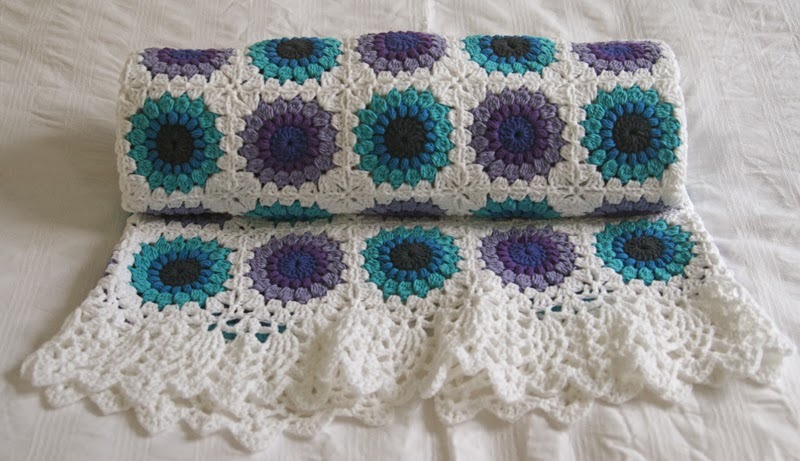 So there you have it.... my Retro Flowers blanket. In total it weighs 870g. It's not a huge blanket. I'll include the finished measurements in the tutorial and also the yarn amounts used. 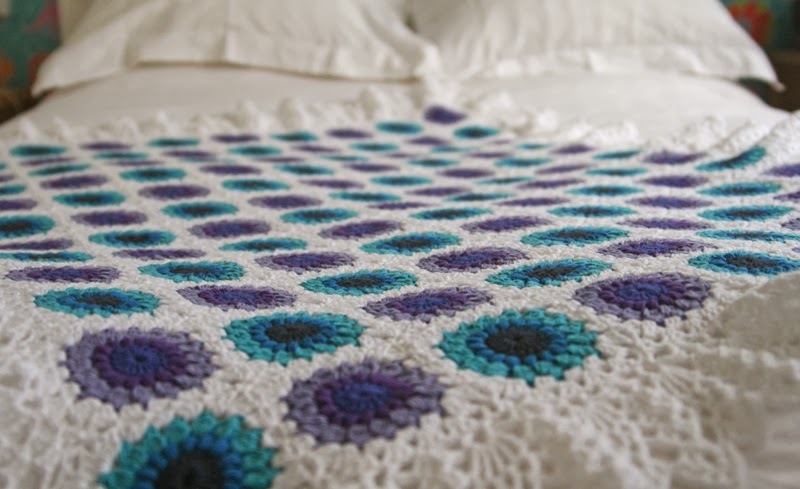 Next week I shall be posting a step by step tutorial for the blanket! Your blanket is really pretty! I'm already looking forward to your tutorial. 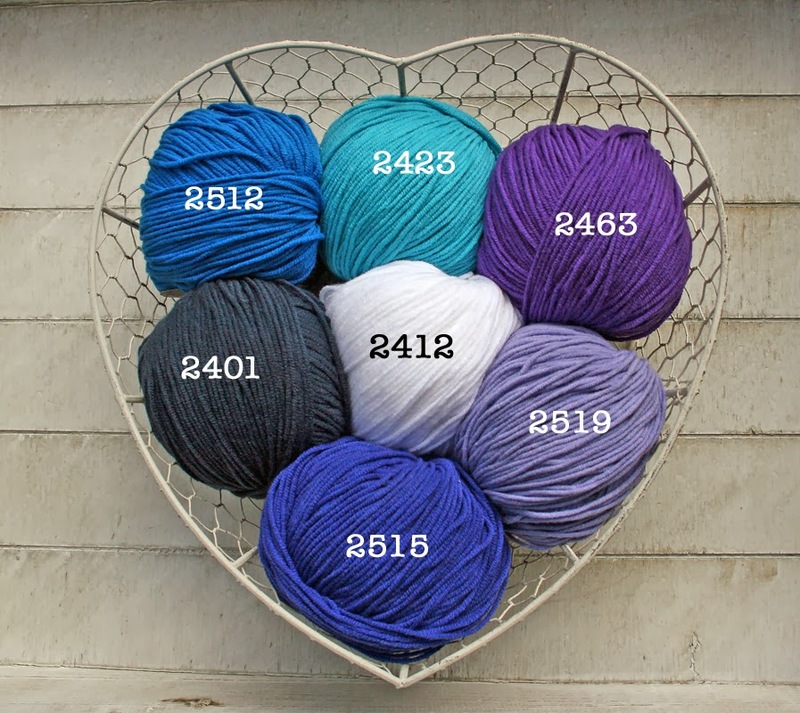 I already started searching for the yarn, but I think 2511 en 2515 are not the correct numbers. Anyway, I really love the blanket. Apologies! 2511 should be 2519!!!! But the other codes are correct :-) I've amended the photo....I'm blaming the wine ;-) Glad you like the blanket! Your best blanket yet! That border is just cascades of yarny goodness! 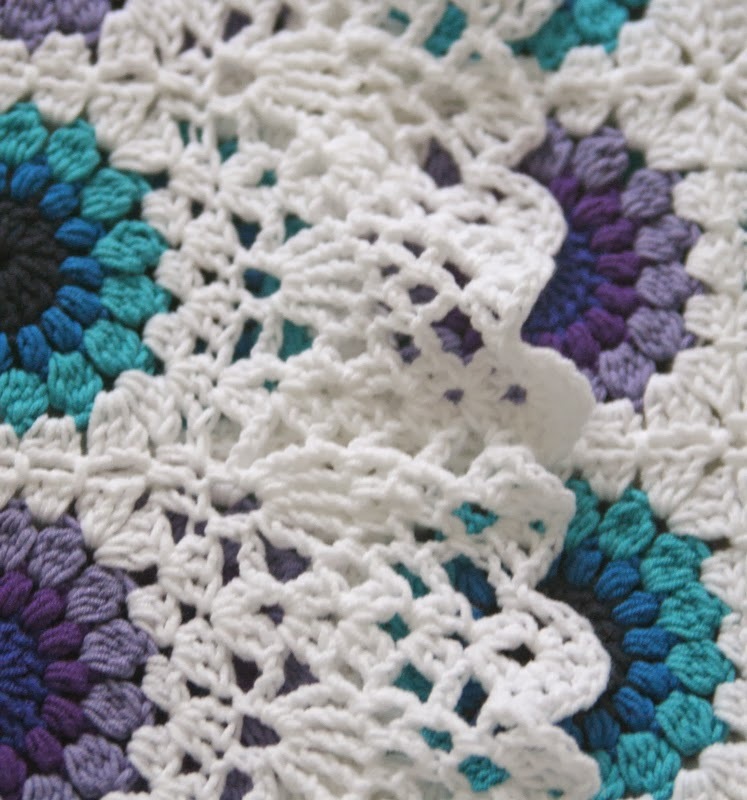 Your blanket is so beautiful, I'm looking out for the pattern!! In 1 woord FANTASTISCH !! !